Red Sweater Project came from humble beginnings. Founded by Ashley Holmer in 2011, momentum was powered by a group of dedicated volunteers, who assisted Holmer in fundraising, planning, research, and construction. Now, though Mungere School is largely staffed by Tanzanians, it is with international volunteers that the staff becomes whole. Red Sweater Project’s local volunteer team is composed of teachers, administrative staff, and a steady flow of individuals who offer services both on and off campus. Some volunteers come for a week, while teachers stay for at least six months. One of Red Sweater Project’s British volunteers agreed to stay for six months—four different times! Jane Wharton, an English language and literature teacher, just keeps finding meaningful reasons to stay. With degrees in English and history from the University of Leeds and a postgraduate certificate in journalism, Wharton spent more than a decade in the news media as a writer, editor, and digital news director for a major daily newspaper in London. 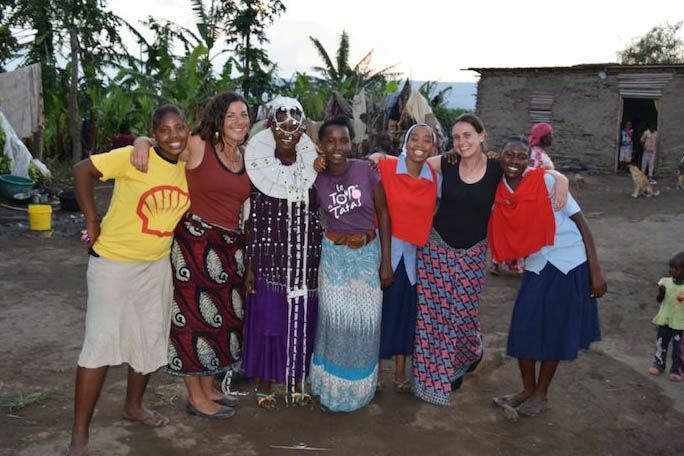 When she decided she was ready for an adventure, she retrained as a teacher and, after working at an international school, landed a volunteer position at Red Sweater Project. “I knew I wanted to travel but I wanted to work and be useful when I did it,” Wharton explains. She arrived on New Year’s Day, 2016, and quickly got to work. Most volunteers experience an adjustment period and it was no different for Wharton. Being well-traveled, however, it was the differences in teaching that really took some getting used to. 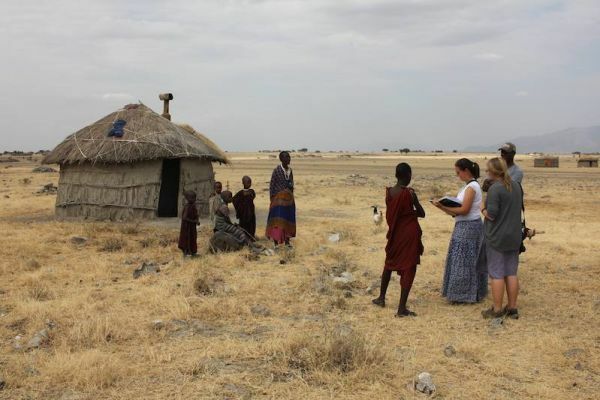 “The hardest thing was getting my head wrapped around the Tanzanian school syllabus and what the requirements are because it’s very different than just teaching language,” she said. During her first term, Wharton did a lot more than just teach English. When she saw that the Mungere boys were practicing football but the girls didn’t have an athletics team of their own, she started coaching a brand new netball team; she even solicited donations for a set of proper netball uniforms and personally gave the school their first netball as a gift. She organized Mungere’s first participation in UMISSETA, the national secondary school athletic tournament, and spearheaded Mungere’s involvement in the Kilamanjaro 5k Fun Run in Moshi, which is now an annual school event—and one of the students’ favorites! At the same time, she was teaching the Form IV class English, which meant they needed extra study time for their upcoming national exams, which took place in December last year. Teaching late a few days a week and even hosting special study sessions on Saturdays to provide extra lessons, she became particularly attached to the success of these students, who were heading toward the biggest exams of their lives. So, after taking a six week break to scratch her travel itch and explore the African continent, Wharton signed on to her third term at Mungere. 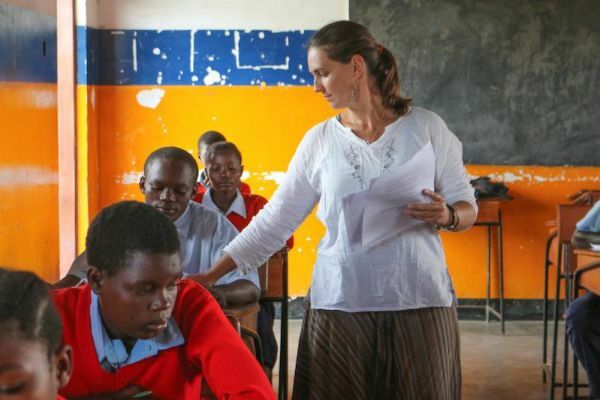 Not only did she continue teaching English, she also served as head of the school’s research committee, looking for continued education opportunities for Mungere graduates. “Our school was set up for students whose parents don’t have money and college courses are prohibitively expensive,” she said. “So that can be quite frustrating. This drive in Wharton continues, as she has committed to staying for yet another term through December and finishing her second full school year at Mungere. While she acknowledges that the work will never really be done, she wants to bring another class through their exams, as well as continue working with the recent graduates. Wharton says this term will be her last. But we’ve heard that before. Visit our volunteer page to learn more about how you can get involved with Red Sweater Project.